Funny yet relieving to hear some of the most familiar sounds from Indonesia being performed by these guys. While most the people there were hypnotized by the distinct tone of Gamelan, I was thinking about various foods you usually find in Indonesian weddings hahaha. 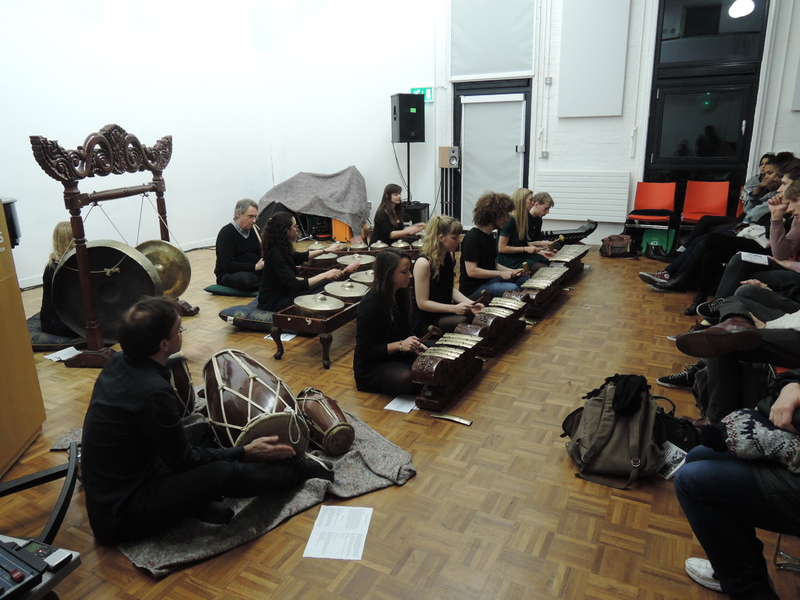 These performances were presented by Goldsmiths UOL students on the Performing South East Asian Music course. Gamelan Degung is a peculiar traditional orchestra born in the middle of Sundanese people of West Java civilization. Originally it was performed for the entertainment of the local aristocracy at the courts of Sundanese Bupati (regents). Today in Indonesia you can find these music echoing at weddings and other formal occasions throughout West Java. It’s quite cool to find a glimpse of Indonesian culture in Goldsmiths, especially when people from around the world presented it in the front of the diverse audience as well. As the sound of hypnotizing Suling (flute) was roaring politely in the room, I could sense that some people articulate this music as a “psychedelic trip to the land of wild Asia”, hahaha.